Simply put, a surgical facility is a distinct place where surgeries take place. A surgical facility may be part of physician’s office that is dedicated specifically to surgical procedures or a freestanding outpatient surgical center. In many states it is used as an extension of a surgeon’s practice. In addition, there are single specialties (e.g. cosmetic, orthopedic) as well as multi-specialty surgical facilities. 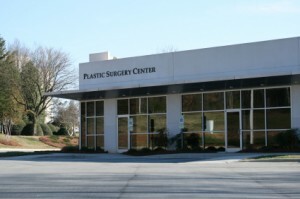 Is your overarching goal to sell my surgical center? Ambulatory Alliances is a leading provider of merger and acquisition services to creditors, equity investor board of directors, court appointed trustees, landlords, private equity groups, consolidators, management teams, hospital health systems and physician owners. We begin with a thorough and strategical analysis, recommend actions to increase value and then lead the execution of the agreed upon course of action. We work alongside our clients from pre-planning through the transaction process and beyond. We have assisted various physician-owned healthcare organizations and helped them determine the most advantageous time to sell. This meant figuring out how to maximize fair market valuations, EBITDA and sales price multiples. In addition, we helped resolve operational issues that affected the business’s value. Services include sell-side and buy-side mergers & acquisitions, joint ventures, strategic alliances, turnarounds and workouts, evaluation and assessment of strategic alternatives, valuations, and raising equity and/or debt capital from local and commercial banks, finance companies, private investors, hedge funds, private equity and mezzanine/subordinated debt. If you want an experienced partner with superior negotiation skills, thorough industry knowledge, operational expertise, and close relationships in healthcare organizations, then Ambulatory Alliances is the right choice.